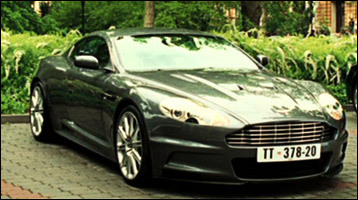 Description: Bond is given this MI6-issue Aston Martin DBS upon arriving at Casino Royale in order to "keep up appearances." 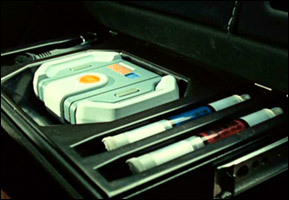 Description: Luckily for Bond, his Aston Martin contains a mini-medical center that allows 007 to communicate with MI6 and cure himself when Le Chiffre poisons him at the card table. 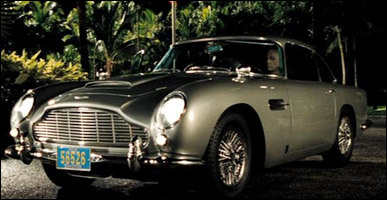 Description: Bond wins his classic Aston Martin DB5 from Dimitrios in a game of Texas Hold'em Poker. Description: Le Chiffre's plot involves blowing up an airplane. 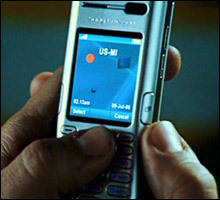 His henchman, Carlos, uses this detonator to explode a remote bomb. Unfortunately for Carlos, Bond has secretly strapped the bomb to Carlos' belt. 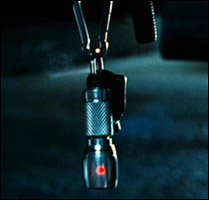 Description: This is the actual keyring that Carlos uses to try to blow up the plane.